I can't tell if Fantasia has heeded my advice, but things are looking good for the Charlotte-based singer as she approaches the April 23 release date of her new album, Side Effects Of You. Since the tracklist was revealed several weeks ago, there's been one song in particular I've been looking forward to hearing. 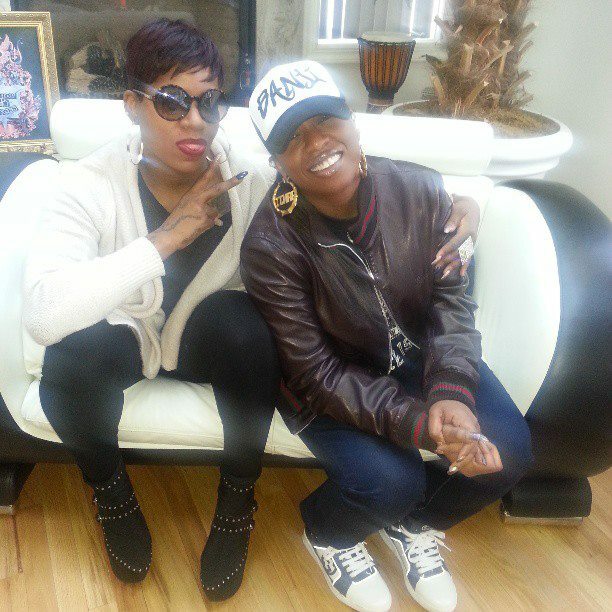 Now, Fantasia has debuted "Without Me," her collaboration with Kelly Rowland and Missy Elliott. I like the new track, and I think it'll get radio airplay and spins in the club. The beat sounds a little too much like Nicki Minaj's "Beez In The Trap" though, but Fantasia and crew bring a good combo of slowed-down hip hop (even some chopped and screwed elements) and finger-snapping R&B, with some braggadocio lyrics/smack talk aimed at the male species. In more Fantasia news, you can watch as she makes her return to American Idol this Thursday, April 18, 8 p.m. on FOX. She's scheduled to perform her new album's first single, "Lose To Win" (fellow Idol alum and North Carolinian Clay Aiken will also perform on the show). An appearance on Idol should bolster record sales for her album, particularly pre-orders (Amazon and iTunes). Also, you can listen to snippets of all 13 songs from Side Effects Of You, by clicking here. Better yet, she's hosting a listening party for the album on Google Hangout on Tuesday, April 16, 10 p.m. at youtube.com/fantasia. Keep up with Fantasia at www.fantasiaofficial.com, Facebook.com/Fantasia, Twitter @TasiasWord, and Instagram @TasiasWord.